Howard Michael Mandel was born on November 29, 1955 in Toronto, Ontario. Growing up, Mandel was a notorious class clown and prankster and got expelled from three different high schools on accord of his behavior. Subsequently, he earned an equivalency diploma and got a job as a sales representative, selling carpets door to door. His charming nature earned him success and he turned his business into a lucrative retail operation with two stores. It was however in 1979 in Los Angeles during a business trip, that his life took a completely different turn when upon participating in the Comedy Store’s beginners night, he was spotted by a television producer who recognized his talent and gave him the offer to do the show, “Make Me Laugh”. 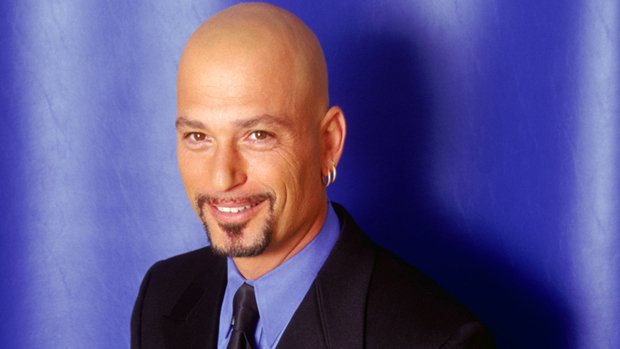 Having kickstarted his career; Howie Mandel appeared in the movie, “Gas” in a lead role next to Susan Anspach. He gained recognition in the United States when he was offered a lead role in the drama, “St. Elsewhere” in 1982. The show went on for 6 years with Mandel playing the part of a doctor, “Wayne Fiscus”. Alongside this, he also did voiceovers some of which include his work as Gizmo in “Gremlins” (1984) and again in “Gremlins 2: The New Batch” (1990). He also worked as a stand-up comedian in several cities which culminated in a music video, “Watusi” in 1987. Mandel was also the voice of “Bunsen Honeydew”, “Animal” and “Skeeter” in the show, “Muppet Babies”. He was signed on for movies like, “Little Maurice” and “Walk Like A Man”. Apart from acting, Mandel also produced and created the animated children’s show, “Bobby’s World” in 1990, which earned nominations at the Emmy Awards. In 1994, Mandel gave his voice to the lead character in the video game, “Tuneland” as Little Howie. A short while after in 1995, he appeared in the music video, “Summer’s Comin”. Following that year, he was offered the lead role in the television series, “The Amazing Live Sea Monkeys” and also did a guest star appearance in “Lois & Clark: The New Adventures of Superman”. His next major projects in early 2000s, included movies like “Apocalypse III: Tribulation” and “Hansel and Gretel”. In 2005, Mandel was offered to host the game show, “Deal or No Deal” which was a phenomenal success. His work for the show earned Mandel a nomination for an Emmy Award in 2008. He has made countless guest appearances in the recent years including shows like, “Sesame Street”, “My Name Is Earl”, “Monk” and “The Big Bang Theory”, amongst others. In 2008, Mandel was honored with a spot on the “Hollywood Walk of Fame” and on “Canada’s Walk of Fame” in 2009. Mandel also earned 82nd spot at in Comedy Central’s 100 most talented comedians list in 2004. He is also the brain behind “Mobbed” which he produced and hosted. The show makes use of hidden cameras to show real-life stories and anecdotes. In his personal life, Howie Mandel is married to his high school sweetheart, Terry, and the couple has three children. He also suffers from Attention Deficit Hyperactivity Disorder and Mysophobia. In 2009, he released his memoir, titled “Here’s the Deal: Don’t Touch Me”, in which he narrated how the disease shaped his life. He currently works to raise funds and awareness about ADHD amongst the masses.